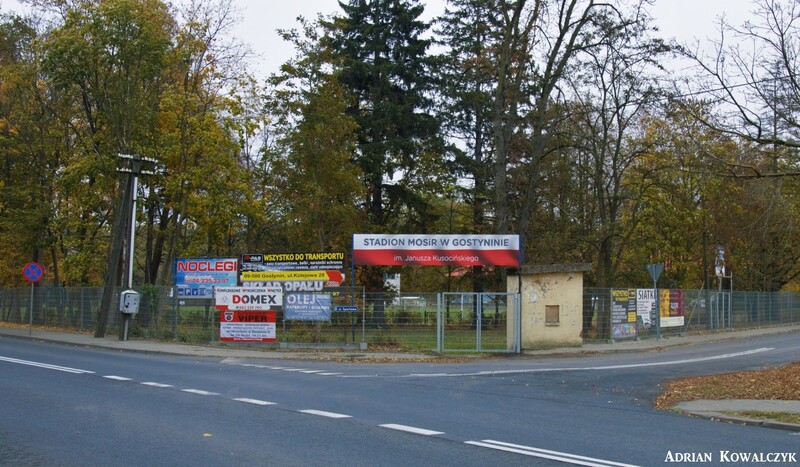 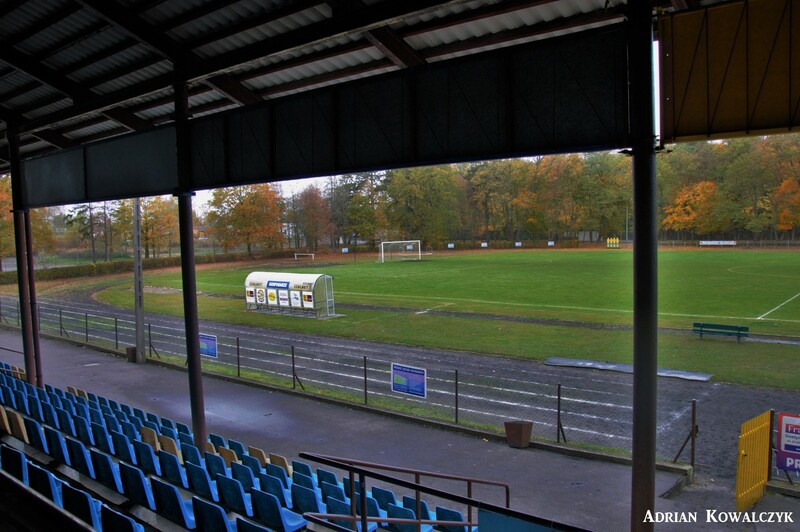 Opened in 1928, the municipal stadium of Gostynin is charmingly located within local woods. 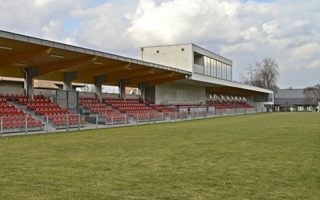 Currently it boasts two basketball courts and a training field with floodlights. 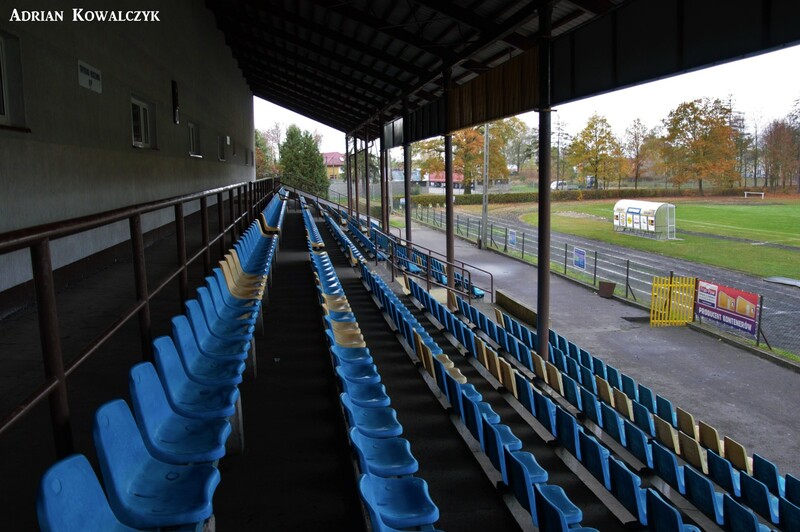 But in the beginning it was only one wooden grandstand, very cozy one. 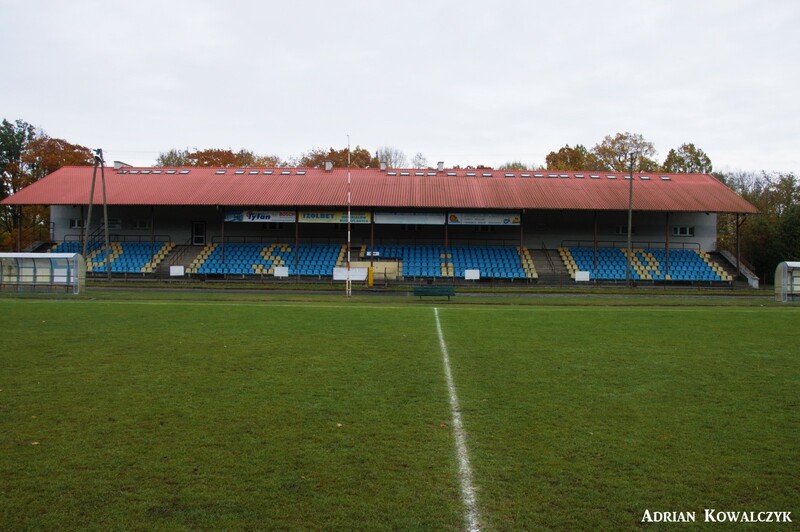 As the stand was built along eastern side of the field, this location was retained later on, when complete redevelopment was announced in 1974. 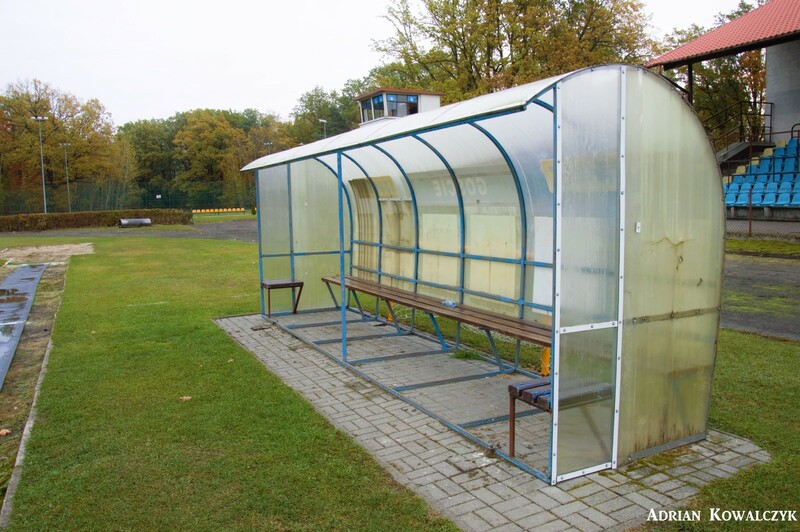 By 1978 the new stand was built, accommodating a hotel under one roof with the benches (later replaced by 672 seats). 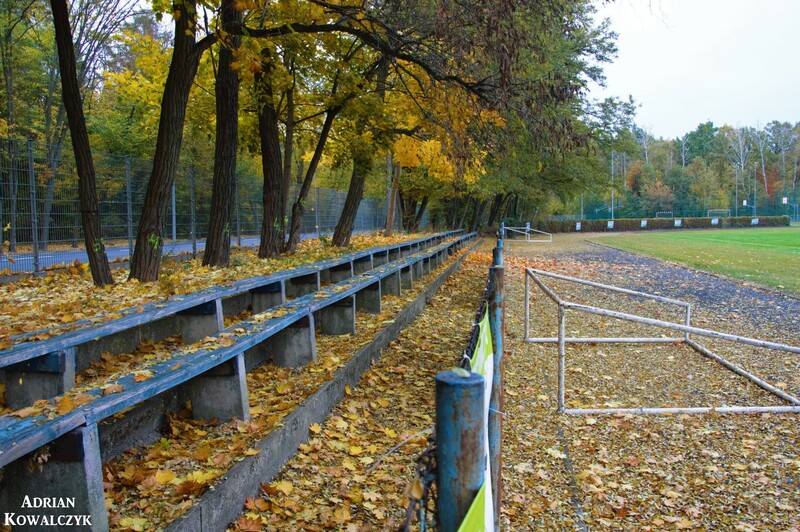 Aside from the main stand two rows of benches are spread under numerous trees. 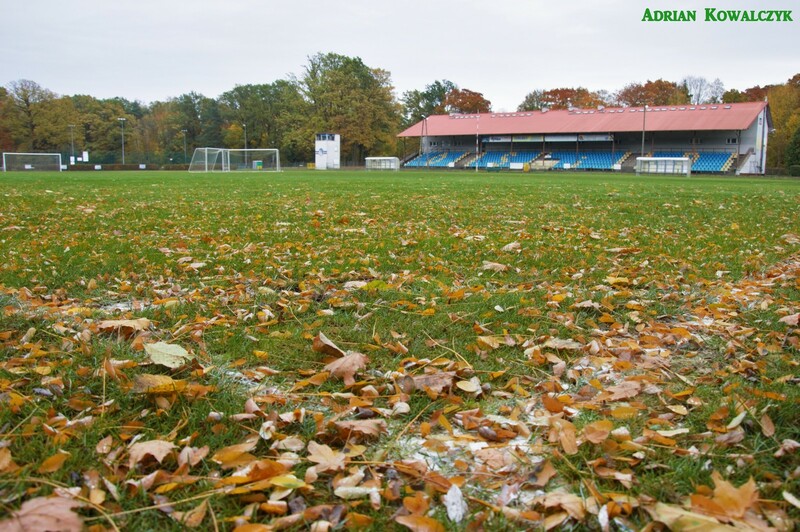 This is where many visitors prefer to watch games, especially most vibrant local supporters. 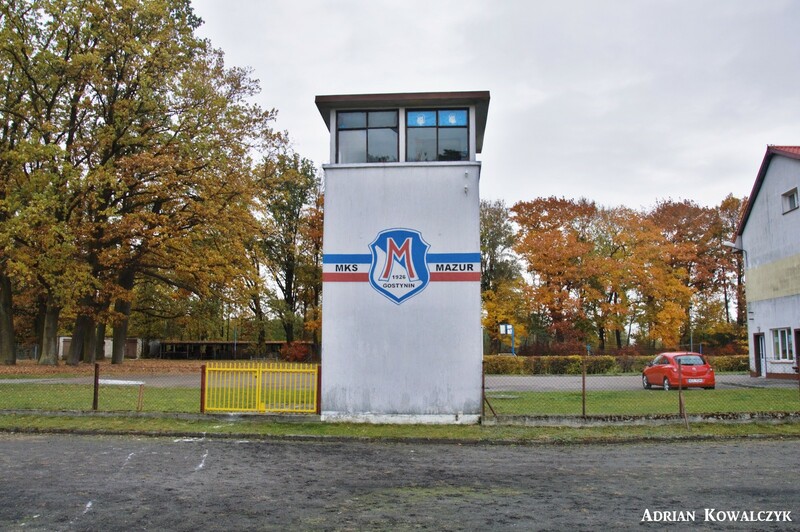 On a daily basis the stadium houses the home fixtures of local team Mazur, but there’s more history to it. 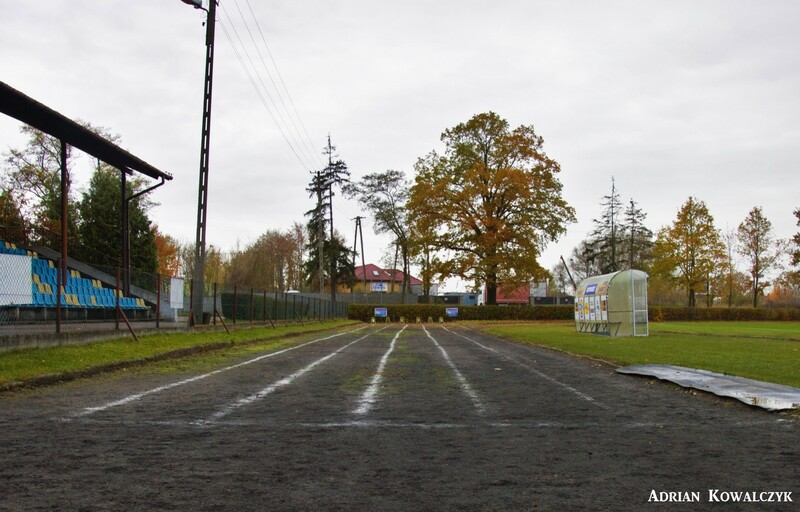 In 1937 it was visited by Janusz Kusociński, Polish legend in athletics, later killed by Nazis. 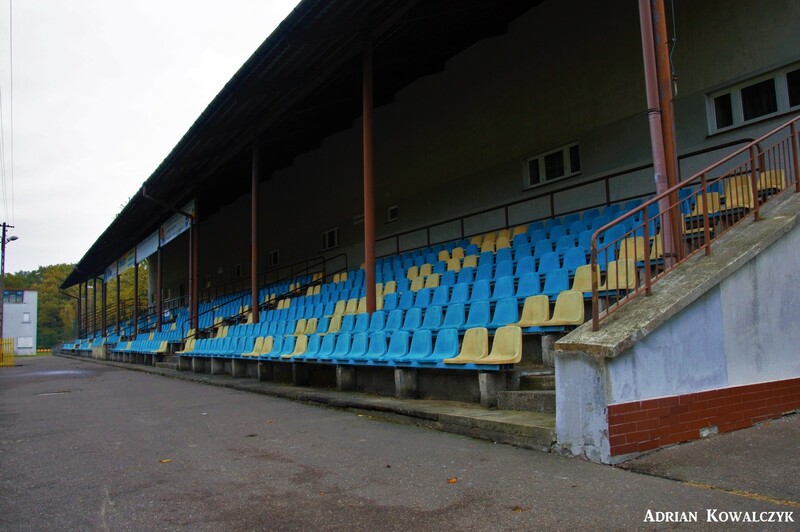 That visit was later celebrated, when in 1972, with more great sportsmen in attendance, the stadium was officially named after Kusociński. 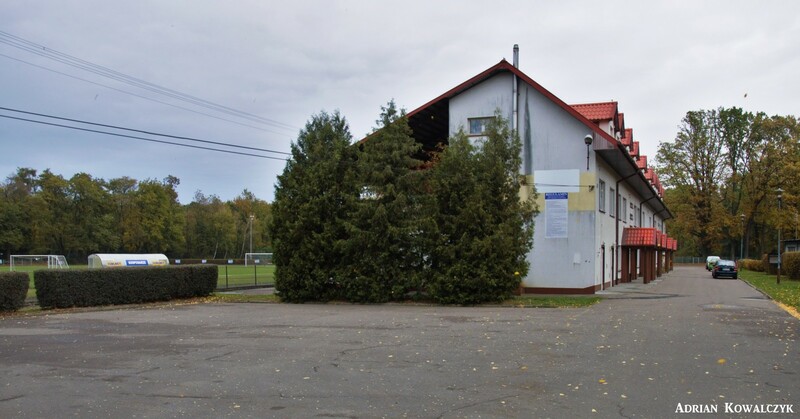 In early twenty-first century it also played host to several games of Poland’s youth national teams (U15 and U17).